Which Coral Species to Sequence? There was unanimous agreement on the importance of sequencing the genome of a reef-building coral species. Participants cited many benefits. The sequenced genome would provide a foundation for new avenues of coral scientific research and also provide a basis for technology development that could benefit coral resource management. It would yield major breakthroughs in phylogenetic systematics. The sequenced coral genome would also be a major bonus for evolutionary genomics, since corals are representatives of the phylum Cnidaria, a sister group to all the currently sequenced metazoans. The sequenced genome would lay the foundation for all further molecular studies of coral biology. Of major interest to conservation biology would be the molecular mechanisms of stress and resistance, and also the molecular machinery of mutualism between host corals and zooxanthellae. The sequenced genome would make molecular techniques (e.g., microarrays) available to monitor the expressions of thousands of genes. For instance, genes expressed in normal versus stressed or diseased individuals could be identified, including genes that increase susceptibility or confer resistance to bleaching and disease. coral immunity and coral neurophysiology.” P. lobata was also chosen because of its widespread distribution in the Indian and Pacific Oceans, the Red Sea, and the Persian Gulf. 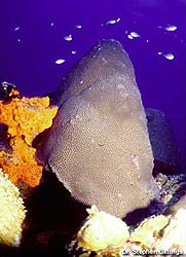 Another important advantage of Porites over others, such as the acroporids (elkhorn, staghorn and table corals) and star corals (Montastraea spp. 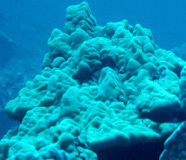 ), is that Porites lacks some of the various biochemical interfering substances that make it very difficult to apply molecular and biochemical techniques to many coral families. Finally, P. lobata and the mustard hill coral (P. asteroides) show a high degree of similarity in many of their enzymes and genes, and it should be easy to adapt technologies that would utilize the gene sequence information of P. lobata (e.g., polymerase chain reaction (PCR) gene array, enzyme-linked immunosorbent assay (ELISA), real-time PCR, and immunohistology) for further study of P. asteroides or other species of Porites. In addition to Porites, species of Acropora (elkhorn corals), Montastraea (boulder star corals), and Pocillopora (lace corals) were the principal ones advanced as candidates for sequencing. Each of these species was favored for a variety of reasons, including geographic distribution, ecological and economic importance, amenability to molecular techniques, ease of laboratory rearing, growth rate, survivability, susceptibility to disease, and others. No consensus was reached about which single species or group should be sequenced first, but the participants were urged by some of their peers to lay aside their personal preferences and support the proposed project. Time was of the essence and the sequencing of the DNA of any coral would benefit all coral science and conservation management. There was considerable discussion exploring the concept of a coral “lab rat,” a genetically known strain that could be laboratory-reared, mass cultured, and shipped easily with a high chance of survival to any laboratory in the world. Model corals would enable rapid advances by focusing research on fundamental biological concepts broadly applicable across the taxon. Scientists could take advantage of the favorable attributes of this strain to study processes in molecular, cellular, developmental, physiological, and environmental biology. Most of the discussion on this topic focused on the specific characteristics that would be desirable in such a species. There was unanimous agreement among the participants that the coral “lab rat” concept was important and should be pursued. Model corals must be representative of coral diversity, and include Indopacific and Caribbean species, autotrophs and heterotrophs, branching, massive and plating species, and species with different algal symbionts. Because of the corals' evolutionary history, which suggests that extant corals are not a monophyletic group and different families can be both ecologically and physiologically very different, no single species would be representative of corals in general. Bruckner, Andrew. Spring 2002. Life-Saving Products from Coral Reefs. Issues in Science and Technology Online. The Human Genome Project, 1990-2003. 2003. Genomics and Its Impact on Science and Society: The Human Genome Project and Beyond. U.S. Department of Energy Human Genome Program.